The day that the world of college basketball has been waiting for all year is finally here. 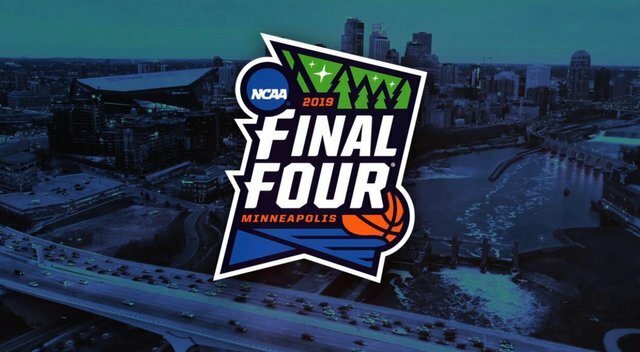 It is Final 4 Saturday! The 2019 NCAA Tournament has been outstanding so far this year and tonight's action should be no different. We started with a field of 68 teams a few weeks ago but only four remain. The big dogs like Duke and North Carolina are no longer alive. The young guns from Kentucky are toast. And the team that spent the most time this season in the #1 slot, the Gonzaga Bulldogs, will be watching from their couches. But the Virginia Cavaliers, Auburn Tigers, Michigan State Spartans, and Texas Tech Red Raiders are still alive and fighting for a National Championship. 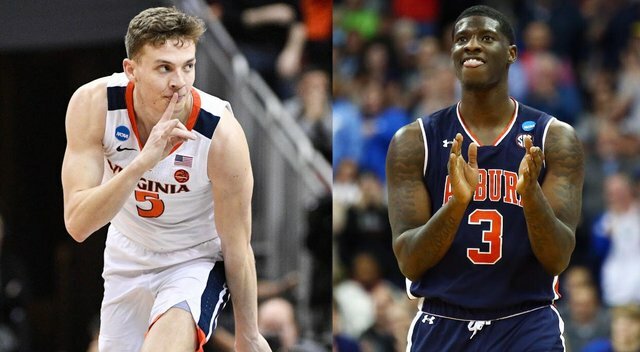 The first game of the night will feature the #1 seed Virginia Cavaliers vs. the #5 seed Auburn Tigers. Tip off is set for 5:09pm Central Standard Time and the game can be seen on National Television on CBS. It will take place at U.S. Bank Stadium in Minneapolis, Minnesota. The Cavaliers are 6 point favorites and the over/under is 132 points. Virginia enters the game after winning 4 straight games. They opened up their tournament play by beating Garner Webb, followed by Oklahoma, Oregon, and Purdue. Auburn enters tonight on an even bigger win streak after winning the SEC Tournament. They have beaten New Mexico State, Kansas, North Carolina and Kentucky to make the Final 4. 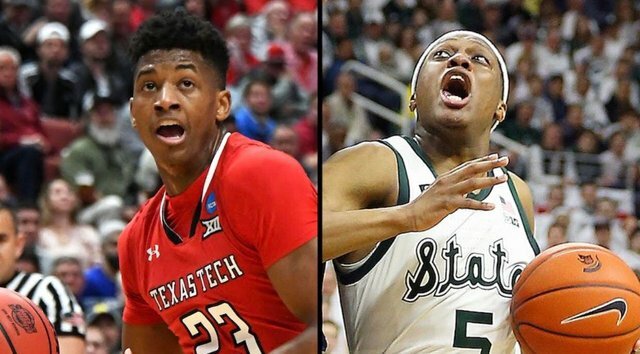 The second game of the day will feature the #2 seed Michigan State Spartans vs. the #3 seed Texas Tech Red Raiders. Tip off is set for 7:49pm Central Standard Time and can be seen on National Television on CBS. It will also be played at U.S. Bank Stadium. The Spartans are 2.5 point favorites and the over/under is 132 points. Michigan State enters the game after an exciting one point win over the Duke Blue Devils 68-67. It was one of the most impressive wins for head coach Tom Izzo as the Blue Devils featured three of the best players in the country. Texas Tech is is also coming off of an impressive win as they beat the Gonzaga Bulldogs 75-69. Although all four teams are extremely talented and well deserving of cutting down the nets on Monday night, there is one team that I believe is the hands down favorite. The Virginia Cavaliers are by far the best defensive team left and that will play a pivotal role in winning the National Championship. But it isn't just their defense that is spectacular, their offense is as well. Virginia ranks #2 in the country in offensive efficiency and they have the best shooter in the country in Kyle Guy. 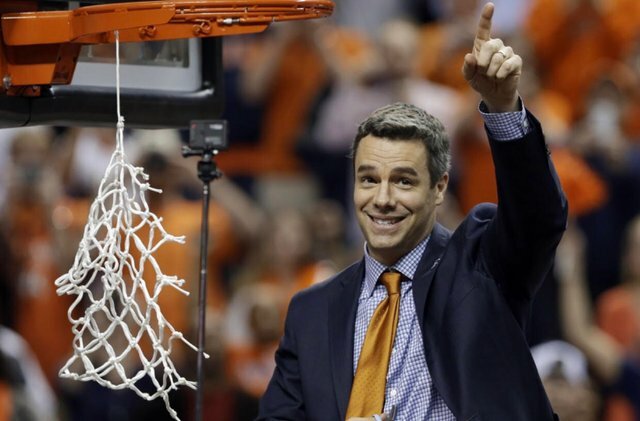 I think when all of the dust settles this weekend, the Virginia Cavaliers will be cutting down the nets in Minnesota. I upvoted your contribution because to my mind your post is at least 18 SBD worth and should receive 504 votes. It's now up to the lovely Steemit community to make this come true.